The Zethoven project targeted children with little or no previous access to musical education. Pupils aged 10-12 years experienced all the steps participation in a choir involves, from rehearsal to concert performance and recording. Transnational Cooperation (TNC) between the LAGs Pays Sud Charente (France) and Raia Historica (Portugal) has tradition. Under Leader+ both worked together in a TNC project entitled "Terres européennes", which organised artist residencies around the theme of clay in the participating territories. Given this first positive joint experience, both LAGs wanted to continue working together. During the Portugese partner's visit to France in June 2010 three opportunities of cooperation were discussed, among them the project idea ZETHOVEN, which attracted particular attention. Involving the themes of culture, agriculture, environment, tourism, arts and crafts, the project's objectives were i) to encourage direct contacts between professional artists and young audiences from different countries, ii) to encourage musical education for young children and iii) to promote Europe among the rural youth and their territories. It is hoped that the project will influence the future mobilisation and appreciation of rural cultural resources in a sustainable manner. The character of ZETHOVEN refers to the German composer Beethoven, and aims to invite children from rural areas, who do not have access to musical education, to participate in a European musical project. 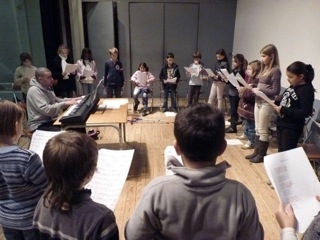 The range of project activities included the study of partitions, the discovery of musical instruments, the choir's performance in a recording studio, and the choir's performance on stage. 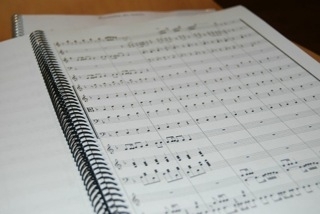 The project was implemented in 4 phases, which involved the selection of choir participants by a professional Portuguese conductor, the organisation of rehearsals in both countries, and both the recording of a CD and the conduct of joint concerts accompanied by professional orchestras in Portugal in France. 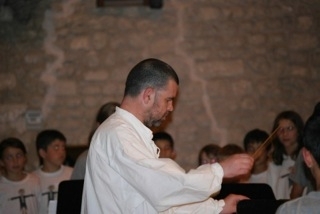 Following a series of monthly rehearsals and the CD recording, concerts were performed in Guarda/Portugal, the Presidential Palace/Lisbon and on the occasion of the National Music Festival in France. Performances were recorded on video. This was an exceptional adventure for the participating children, who were very proud of their achievement. They experienced unforgettable moments, such as a visit to the Embassy of France, a concert at the Presidential Palace and reports on Portuguese TV. The involvement of local politicians, children and their families lifted the joint local effort onto a European dimension and presented them with a clear link between intercultural relations and EU funding. “The visits of Portuguese conductor Luis Cipriano for rehearsals to [our town of] Baignes were moments of joy for Lou-Anne”, says a French parent. “She sang alone in the house and fell silent whenever she noticed that others listened [...] Lou-Anne has changed dramatically and took a liking in singing through this project. Thank you Luis! Thank you for all the work done. A few rehearsals were enough to give us, in the end, a wonderful and unforgettable show at the Presidential Palace in Lisbon."